Russian Bear Dog – Is It the Right Dog for You? The Caucasian Ovcharka or Caucasian Shepherd is famously known as the Russian Bear Dog, which also happens to be the most brutal of all Russian dog breeds. 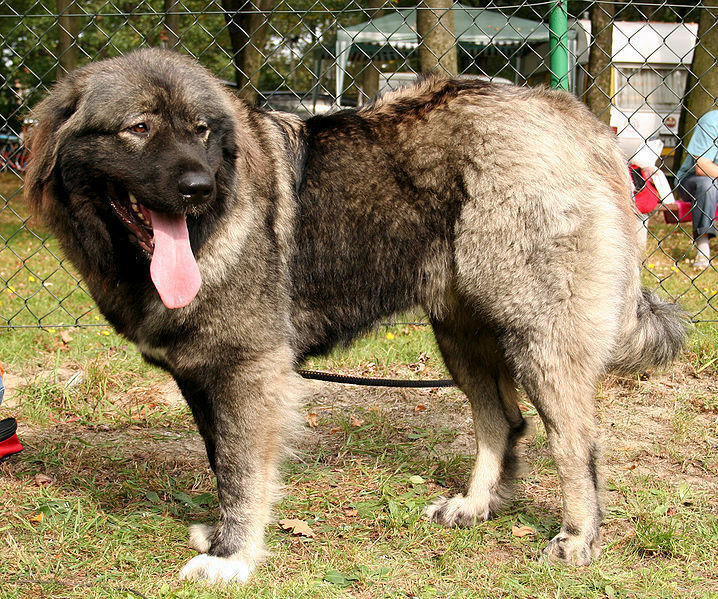 This large dog is even-tempered with a muscular and powerful body, deeply set dark eyes of oval shape, low carried long tail, round-shaped cropped ears, and a face that looks like a bear. The breed also has a water resistant and thick double coat in shades of yellow, gray, rust, white, red, or brindle. Their coat can either be shorter or longer, depending on the specific region which it comes from. The dedication and strength of this particular breed has made it an in demand guard, police, and working dog all over Europe and the former states of the Soviet Union. They refer to this breed as the Caucasian Mountain Dog in the Americas, and the Caucasian Shepherd in the European countries. In the West, this is also famously referred to as the Russian Bear Dog. In Russian, its common name is the Caucasian Ovcharka which is the Russian word for sheepdog. The Caucasian Ovcharka is among the oldest breeds of mastiff type which originated from Caucasus Mountains nestled between the Caspian Sea and the Black Sea. For centuries, the breed has been used for guarding flocks, killing wolves, hunting bears, protecting properties against thieves and trespassers. Its specific type is different from one region to the next. The contemporary show class Caucasian dog is the hybrid of established Caucasian types and a few lines of Central Asian dog. 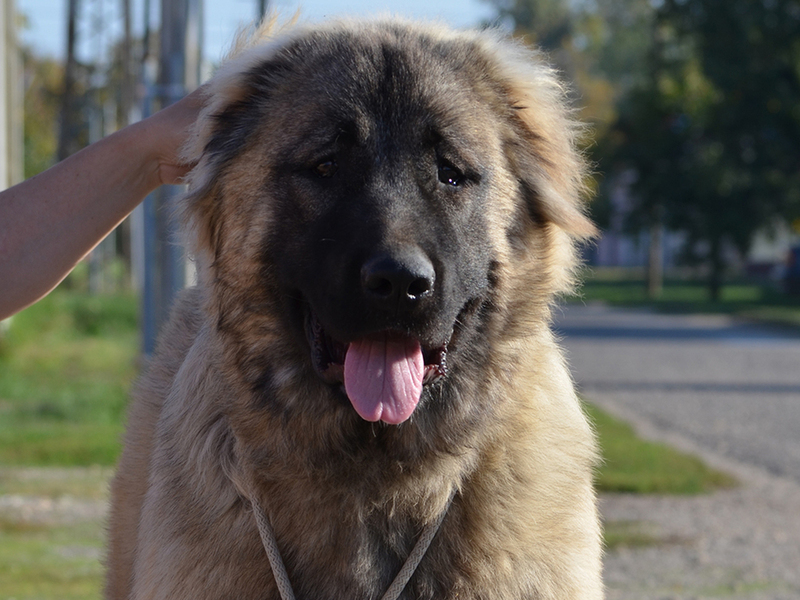 The Caucasian shepherd dog’s official standard is basically based on Georgian shepherd dogs which are the biggest and most muscularly built dogs that boast of long attractive hair. The original purpose of the Caucasian Shepherd was to protect their owner’s livestock. A typical Caucasian Ovcharka is strong-willed, courageous, and assertive. Unless properly trained and socialized, this breed may show some unmanageable and ferocious tendencies. The breed is also very strong, hardy, alert, and brave. They don’t accept people they don’t know, and they have an extremely powerful urge to defend. Everyone and everything that belongs to the family, such as children, other dogs, cats, and the like will be considered by these dogs as part of their family, and will be protected and respected. These canines must never be left alone with kids because when play gets too rough, they might feel the need of protecting the children, and may do this extensively. They don’t have time for strangers yet they will warmly greet friends of the family. Russian bear dogs can also be quite dominant to dogs they don’t know. There are German fanciers who employ these dogs as foremost deterrents and guardians. This particular breed is not a dog for everyone. Russian Bear Dogs need owners who know how to show a strong leadership and have the willingness to spend a lot of time on training and socializing.